Found 2 file extension associations related to Empire Earth: Gold Edition and 2 file formats developed specifically for use with Empire Earth: Gold Edition. Control the destiny of a fledgling civilization through as many as 500,000 years of human history. From meager beginnings you must exploit the natural resources around you to build an empire capable of dominating the Earth. But your rise to supremacy will not go unchallenged. As was the case throughout history, rival civilizations are certain to oppose you every step of the way. 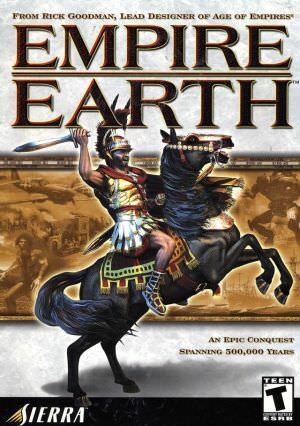 This pack includes the original Empire Earth and the expansion pack The Art of Conquest. If you need more information please contact the developers of Empire Earth: Gold Edition (Activision Blizzard, Inc.), or check out their product website.